Rotary's numerous programs for students and youth can change the lives of those who participate. Through these programs, young people can earn scholarships, travel on cultural exchanges, learn valuable leadership skills, or help a community through a service project. The Rotary club of Houma currently sponsors two Interact Clubs. The very first club was established at H L Bourgeois High School almost ten years ago. Membership during the 2012-2013 school year was over sixty members. The Interact Club of Houma Junior High was chartered during the 2010-2011 school year. It is still in the developing stages, with the hopes of gaining membership and momentum during the upcoming school year. 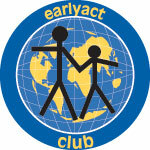 Interact is Rotary International’s service club for young people in grades seventh through twelfth. The clubs are sponsored by individual Rotary clubs, which provide support and guidance, but they are self-governing and self-supporting. Club membership varies greatly and can be single gender or mixed, large or small. They can draw from the student body of a single school or from two or more schools in the same community. Rotary Youth Leadership Awards (RYLA) is Rotary's leadership training program for young people. The Rotary Cllub of Houma sponsors four participants every year to attend the 5-day camp. High school students who can apply must be in grades 10 - 12. The Rotary Club of Houma and Mulberry Elementary School partnered to establish the first EarlyAct Club in Terrebonne Parish. Their “Official Kick-Off” meeting for the public was held on Tuesday, November 17, 2009, which coincided with National Education Week. Having a student population of over 900, the decision was made that all students in grades first through sixth would be members of the EarlyAct Club. Mulberry's Teacher Advisors-Sponsors suggested possible projects for the school year, with the Representatives having the final vote. All the following projects were completed that school year! The EarrlyAct Club of Mulberry Elementary is still thriving and the students continue to learn Rotary's most valuable lesson: SERVICE ABOVE SELF!